For Part II of the ‘Part of the Team: The Impact of Female Coaches in the U.S.’ series, Nancy Fiddler interviews five college coaches about the challenges and rewards of their jobs, how they achieved their respective positions, and what’s kept them there so long. Ski walking, hill bounding, and moose hoofing are a great way to incorporate ski-specific movements into a dryland workout. There are many ways to use these training tools, but I am going to recommend a favorite interval workout that touches on all three techniques: the 4’s and 1’s. This low-impact workout works great for skiers of all ages and abilities, from juniors to masters. 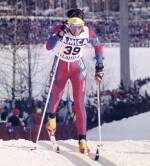 Two-time Olympian and former U.S. 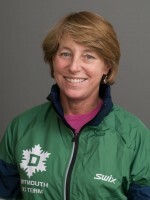 Ski Team member Nancy Fiddler dives into the topic of women in coaching, and why there are not more of them on the international circuit. A coach herself, Fiddler starts with an introduction, describing her journey from as an elite skier to a lifelong mentor.